These are so cute. 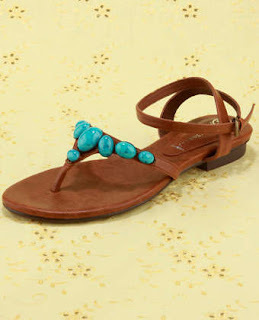 The beaded detail on the straps are quite lovely and I also like the straps around the ankle. Combined with the thong style it makes for a very unique look in a Spring/Summer sea of gladiator sandals.